This is actually very peculiar (hope i wrote that ok) because also many cars drive around here in Holland, but most ppl own a bike and even some have more bikes, a terrainbike, a racebike and so on, its one of the transports we use the most, more even, if u live in a town like Utrecht, Amsterdam or any city with more than 120.000 inhabitants its better to go by bike, as a car takes longer to go to ur destination, a bike is much cheaper and much more healthier, ppl get much older here in Holland, i am 60 and have no car except for a camper which we don’t use in Amsterdam where i live, so i will use my bike till its impossible, due to fear of traffic, or body inconvenience?, which will happen once but not for long time when i keep on biking almost every day. If u look near the universities, train stations its ridiculous the number of bikes standing there, tourists are baffled when they walk along them and can not imagine the amount of bikes they see. Offcourse the biker is free, or rather said if u drive a car in for instance Amsterdam, be aware the biker takes it all, ur space on the road, always they go first and many ppl even don’t stop for the red light, which is not allowed, but hey, if possible u go, because otherwise u lose time, energy and sometimes even its less dangerous, but i would never advise anybody to do it, unless u are a biker in a big town and know what u do and always be aware u could been seen by the police and then a ticket/fine? to pay. When u are about 2 years the biking starts, some with a tricycle?, some at once with a tiny bike, generations learning makes it easy for a child to learn, also parents are very carefull in learning their kids how to ride a bike, so not many accidents due to learning happen. Well i could go on for hours writing about bikes, how ppl pimp their bike, why ppl nurse their bike like a child, or even use it as trainer for their health all day, but the only thing i would add is, when u bike u are aware, smart and more healthy, normally one goes about 30 km an hour, but when u are young u easy go up to 35 or 40 km an hour. 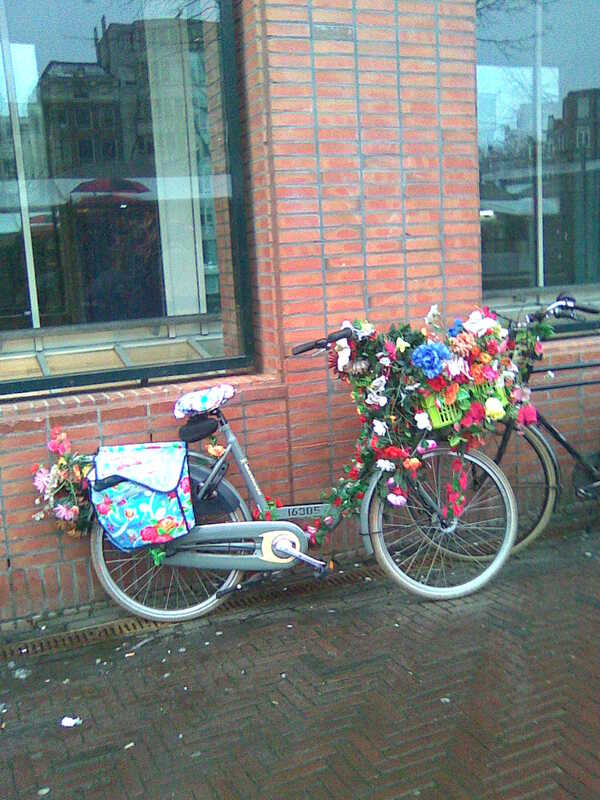 Pimped bike, many ppl do that, with paint, plastic or like this.